The Australian Bureau of Statistics (ABS) recently released the latest quarterly population data as at March 2016. There appears to be some trends emerging in both the overseas migration and interstate migration data, including amoungst a couple of Australia’s lower profile states. 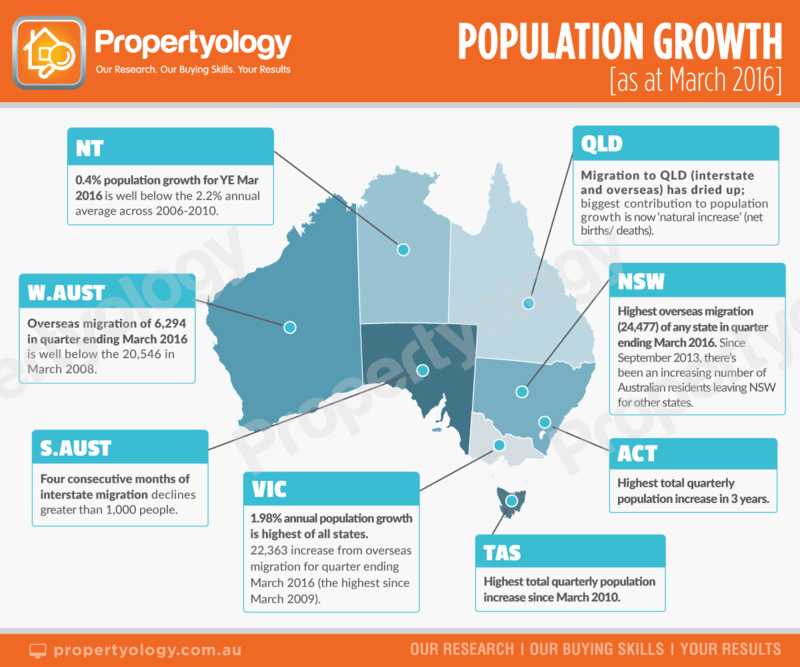 Australia’s population as at March 2016 stood at 24,051,404. The 1.38 per cent increase for the year was slightly up on the 1.37 per cent growth rate from the previous quarter. While still very high by world standards, Australia’s growth rate has progressively eased since reaching its 2.19 per cent peak in December 2008. The increase of 107,497 people for the March 2016 quarter is the largest quarterly increase since March 2013. 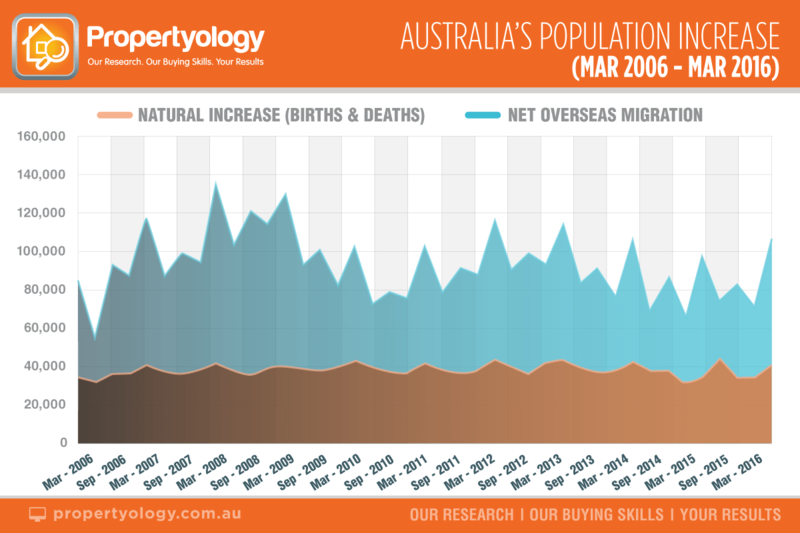 61 per cent of Australia’s population growth for the quarter was from overseas migration while 39 per cent was the net difference between births and deaths. The state’s population of 7,748,366 represents an increase of 32,756 people for the quarter to March 2016. The 1.42 per cent growth rate was Australia’s second highest. More overseas migrants moved to New South Wales than any other state in the March quarter (total overseas migration to Australia was 66,463 with NSW (24,477) more than Victoria (22,363), Queensland (7,437), and WA (6,294)). There was a net decline of 3,231 people leaving NSW to another state during March 2016. Interestingly, the number of residents moving away from NSW has consistently increased since September 2013, not long after Sydney’s property market began to fire up. 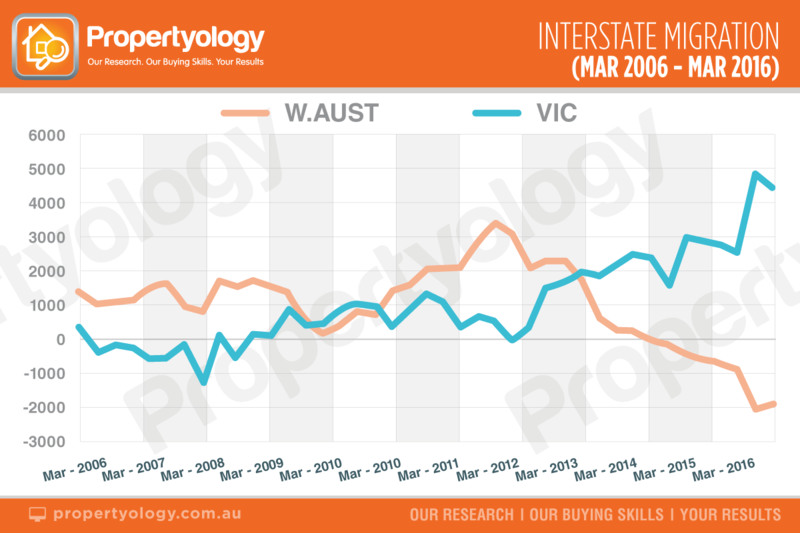 A significant bi-product of Victoria’s strong economy over the last few years is the spike in interstate migration. Well in excess of 4,000 Australian residents migrated to Victoria in each of the last two quarters, the highest quarter since way back in June 1995. 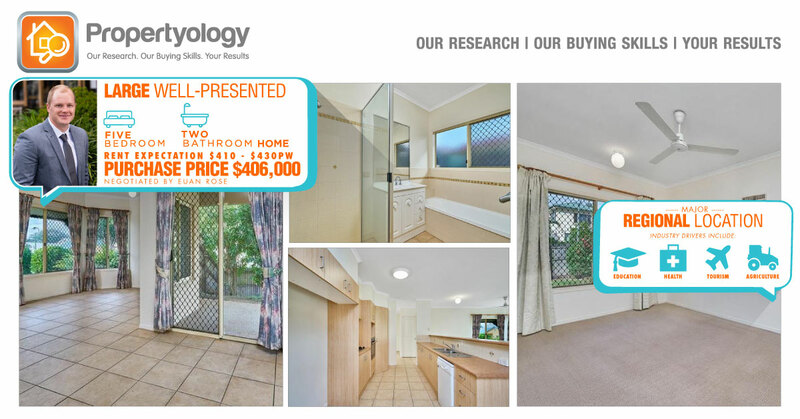 With tens of thousands of job losses anticipated from car manufacturing closures over the next twelve months, Propertyology will be very surprised if Victoria continues to sustain its recent above-average population growth rate. Queensland’s population as at March 2016 of 4,885,227 represents 20 per cent of Australia’s population. From the 18,979 total population increase for the March quarter, the biggest contribution came from organic growth (difference between births and deaths). The 1.28 per cent population growth rate across the last twelve months is now below the national average; this is a stark contrast to all those years when Queensland was consistently in the top echelon of population ranks. The 9,896 increase in Western Australia’s population over the March 2016 quarter is well down on the 20,546 increase during the same quarter eight years earlier. The current population of 2,608,680 is 1.16 per cent higher than a year ago. South Australia’s population has increased by 3,714 during the quarter and by 0.58 per cent over the year to March 2016. It has now been four consecutive months that interstate migration declined by more than 1,000 per quarter, an unwanted milestone that was last seen in 2009.